There are some wonderful bridges around Sydney - beautiful, majestic things. Love 'em. 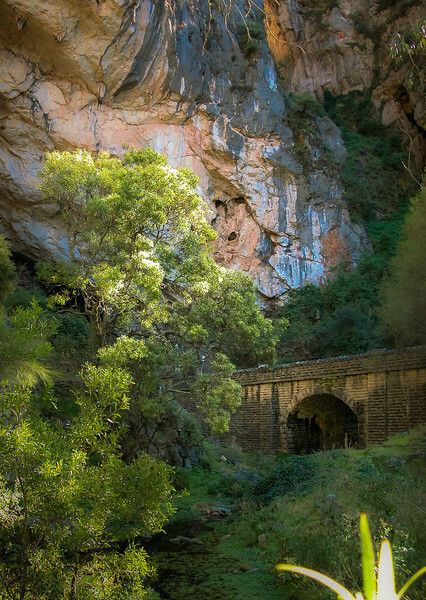 De Burgh's Bridge (sometimes 'De Burgh's Limestone Bridge') across the Jenolan River, near the Grand Archway. Designed by Ernest Macartney de Burgh (as the Engineer of Bridges for the Department of Public Works), constructed 1896.